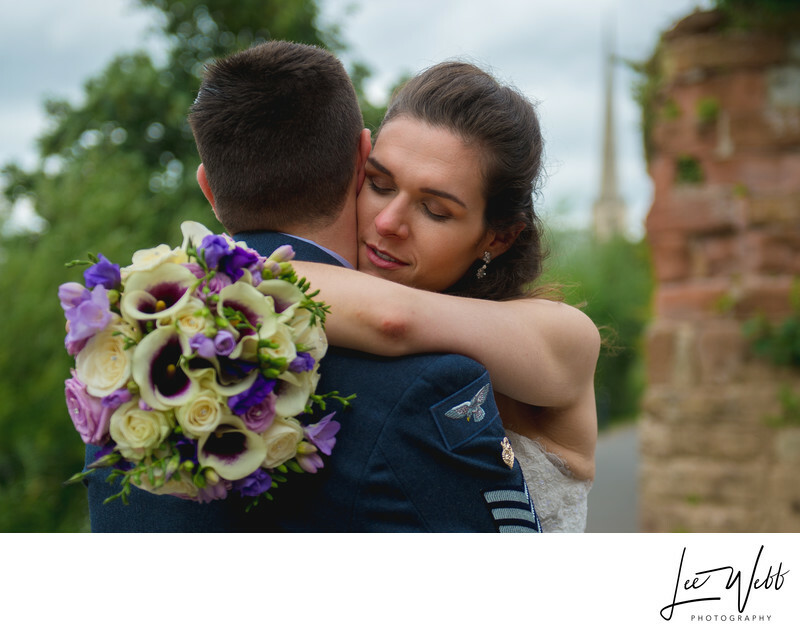 Beccy and Karl's Worcester wedding took place at Saint Georges Church, with a reception at the Guildhall and a photoshoot at Worcester Cathedral. 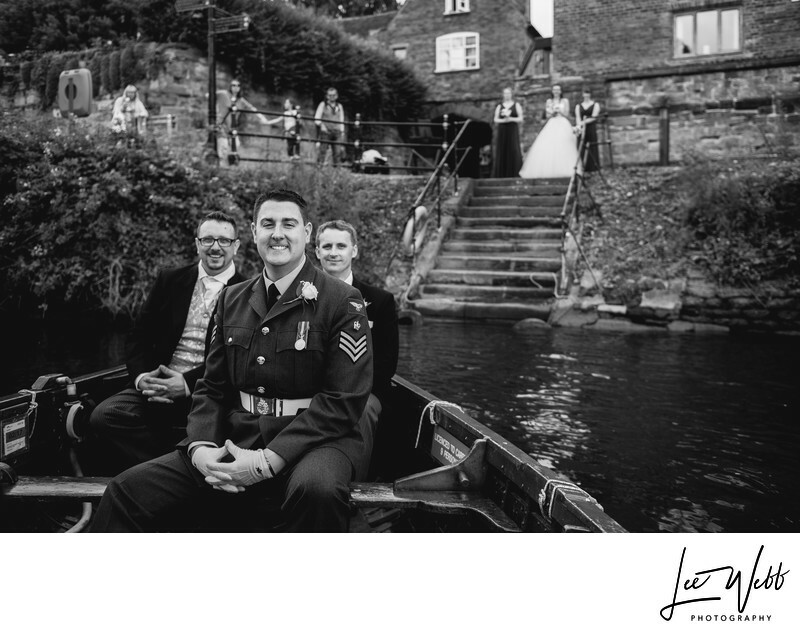 We found ourselves with some spare time after the formal photos had been taken, so the wedding party took a walk down the River Severn. We had enough spare time that we all got ice creams, and even ended up taking a quick trip across the river in a rowing boat! The photo at the top of this article, however posed it might look is actually a natural moment that I was in the right place at the right time for. 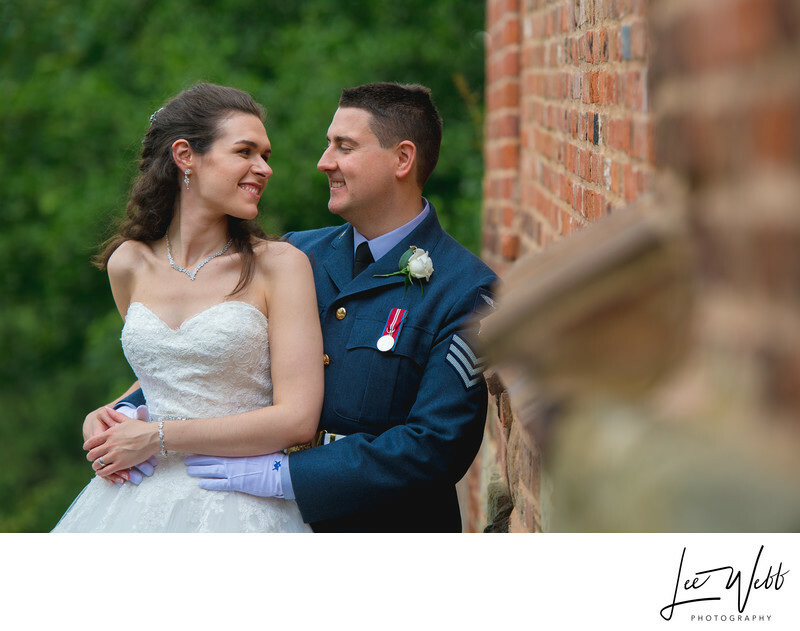 We had just finished the photoshoot in the grounds of the Cathedral and I think the couple probably felt like they could start to relax a little. I didn't have any warning that this photo opportunity was about to happen, but luckily I already had the correct settings in the camera. I also got quite lucky with a photo as we were walking back towards the Guildhall, through the grounds of the Cathedral once more. 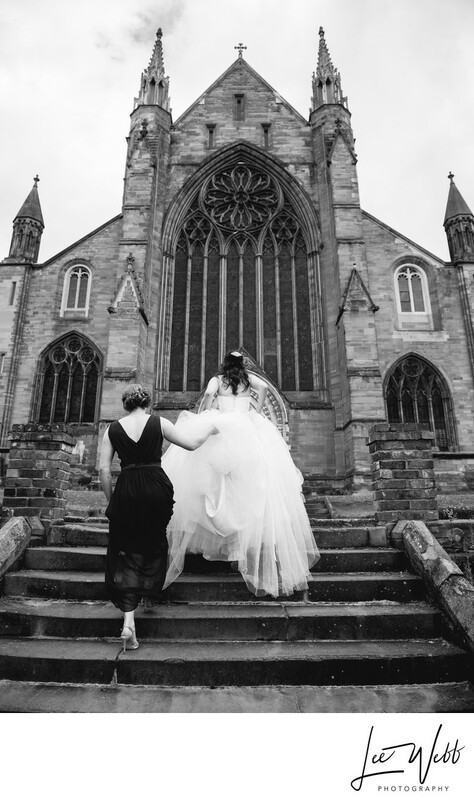 Beccy was making her way up the cathedral stairs with the help of a bridesmaid, and from where I was stood, I knew it would make for a lovely photo. Much like the image at the top of this article, I had one opportunity to get the photo I wanted and got lucky.